Killer Characters: SECOND TIME'S A CHARM? 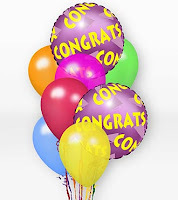 The July prize sponsored by Christy Evans was not claimed, so we here at Killer Characters have randomly chosen a new winner from our mailing list. You'll have a week (until 8/17/10) to email Heather at heather @ heatherwebber.com (no spaces) to claim your prize.